The daily 2 minute facial for glowing skin. 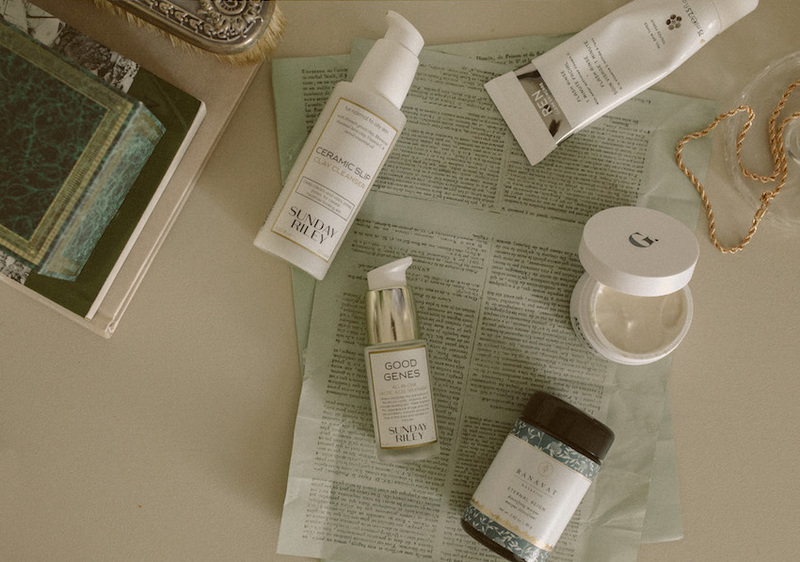 I love the concept of the 'flash facial' because it's something that can easily become a part of your everyday morning routine, especially for the busiest person who's always beating the clock or for the laziest person who wants effortless upkeep. This special micro treatment helps keep your skin balanced, working, and glowing over the entire week. Two to five minutes a day for a flash facial is approximately the same commitment to a twenty minute mask once a week, but I've found that the consistent daily rejuvenation will create a more lasting glow for your skin! For maximum efficiency, I leave on my flash facial for the duration it takes to brush my retainers and my teeth and floss. I like my flash facials for exfoliating and detoxifying my skin from daily pollution and congestion. I switch between a variant of clays, vitamin c, and natural acid products and I use each flash facial product about 2x a week for balance. 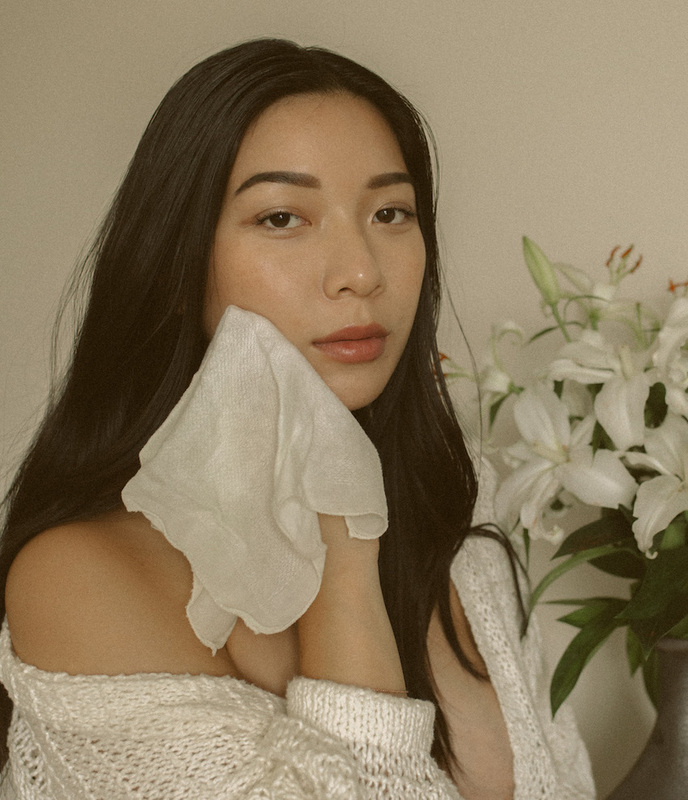 I also highly recommend using these naturally antibacterial bamboo muslin cloths from Aurelia Probiotic that are so soft for sensitive skin, yet woven in such a way that lifts all impurities away and gently exfoliates. I always use the muslin cloth to wipe away cleansing product or masks. Take a look at my flash facial regimens → Flash Facial 1: 2 pumps Sunday Riley Ceramic Slip Cleanser combined with 1 pump of Sunday Riley Good Genes. The French green clay acts as a detoxifying base to the naturally exfoliating lactic acid. Leaving it on for 2-3 minutes 2-3x a week gives amazing, radiant smooth skin as soon as the product is wiped off. You'll absolutely see a difference with this combo! Flash Facial 2: Ren Flash Rinse. A high concentration of Vitamin C is great for delivering antioxidants to the skin to fight pollution and radicals, while brightening and toning the skin's appearance. This is a quick 60 second treatment that I love to do at least 1x a week or more often when I am out in the sun a lot to reduce hyperpigmentation. Flash Facial 3: Ranavat Botanics Eternal Reign Detoxifying Mask. This is a truly decadent treat that I try to use 2x a week minimum or whenever I feel that my skin and pores are heavily congested or breaking out. I spare at least 5 minutes on a busy day or a whole 15 minutes on a slow morning for this treatment to work its detoxifying magic. I scoop about a teaspoon into a bowl and mix with just a few drops of water (or jasmine tonique) to create a paste, then I use a facial brush to paint onto my skin. As soon as it's wiped off, my pores are small and my skin is nice and taut. I love this ritual so much! Flash Facial 4: Goop Exfoliating Instant Facial. Made with natural alpha and beta hydroxy acids, this product exfoliates and leaves skin so soft just after 1-2 minutes of application. I like to use this more often if I feel my skin has developed more texture or little bumps around my forehead and chin than usual. Love this post. Now I have to go buy these items.